Saying farewell to Switzerland was hard, but I knew my day would be exciting crossing three borders to get to Nice, France: Switzerland, Italy, and France. The drive from Lauterbrunnen, Switzerland to the Italian border was incredible. 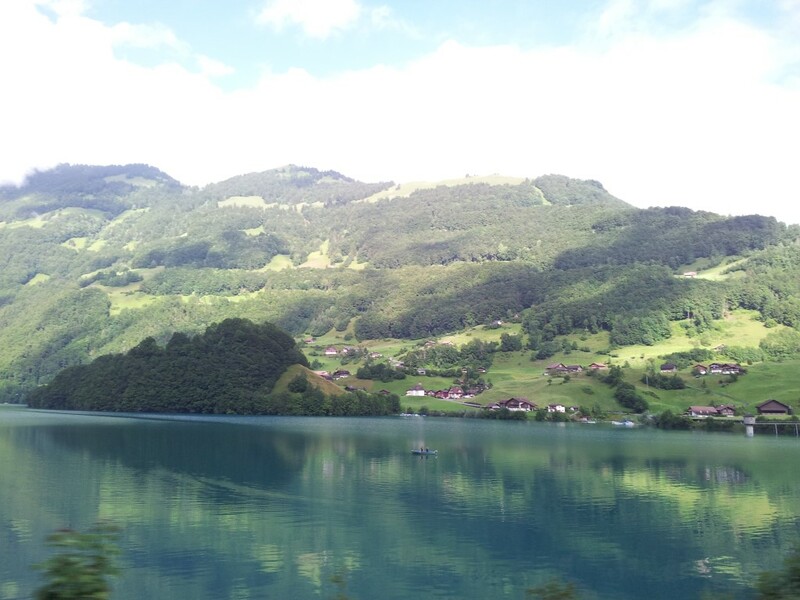 We drove through numerous alpine towns: Sulward Isenfluh, Gstergwiler, Matten, and Interlaken and past the green-turquoise Brienzersee Lake. Endless tunnels took us through mountains and past waterfalls, rivers, lakes, and typical Swiss towns. My desire to return grew the more I saw of Switzerland. Once we crossed the Italian border, surprisingly, the scenery quickly started to change. The Italian red rust coloured roofs stood out from a distance amidst endless sunflower fields and farm land. Oh to be able to run through the sunflower fields under the hot Italian sun. The windy roads that burrowed through the rolling hills appeared to continue forever. A quick glimpse of Italy before entering France got me excited to return to explore Pisa, Florence, Rome, and Venice. A brief look of Italy was all I needed to assure myself that I would love Italy. 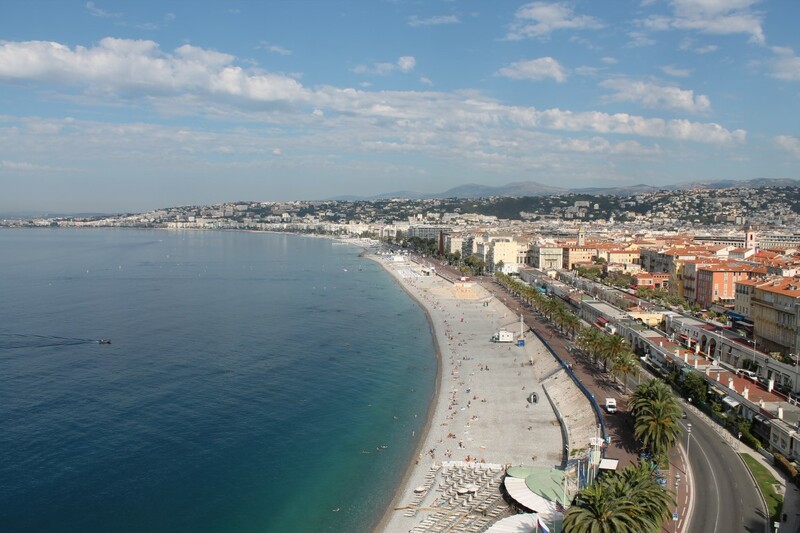 Once I crossed the French border in the south of France, it wasn’t long before I saw the highly anticipated Mediterranean Sea. My first true turquoise destination in Europe was about to come! 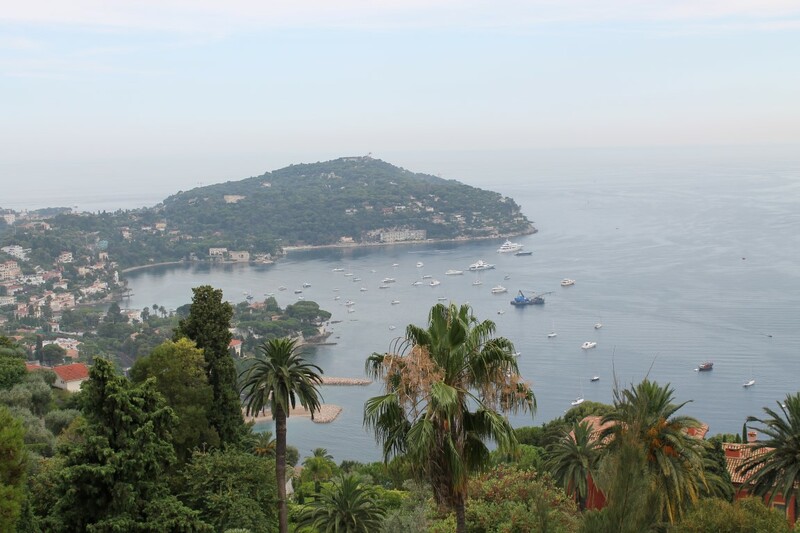 My friends who had visited Europe in the past told me that I would go crazy for the turquoise along the French Riviera. 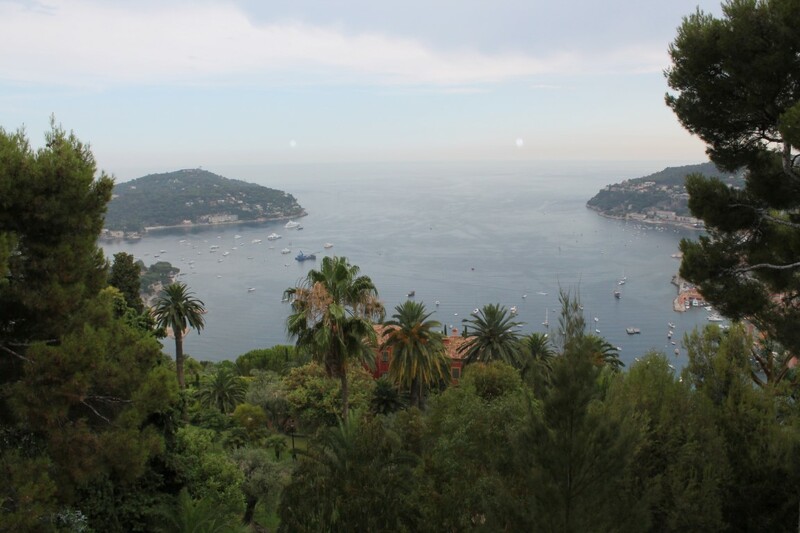 Once I set my eyes on the glistening Mediterranean Sea I immediately fell in love–to no surprise. How is it that I can love every turquoise coast that I visit? I love them all individually and for different reasons. Each gives me something the others cannot. I can say without a shadow of a doubt that the French Riviera is the most unique turquoise destination I have ever visited. The coastal drive to Nice was a dream come true and beyond my expectations for the turquoise I expected to see in France. I couldn’t believe this turquoise gem waited so long for my arrival. Finally, I’ve reached the Mediterranean Sea and it has me in its trance while holding me tight in its cool embrace. This entry was posted in Europe, France, Italy, Switzerland, travel, Turquoise Travel and tagged Bucket List, Euro Trip, Europe, experiences, France, French Riviera, Italy, Nice, South of France, Switzerland, Topdeck, Travel, travel photography, Turquoise, Turquoise Compass by Turquoise Compass. Bookmark the permalink. Thanks so much! It’s a place I never planned on going, but now that I have been I wish I had of put it on my bucket list soon. It’s amazing. I believe I need currencies for London, Switzerland, Albania, and Czech Republic. For the rest I can use the Euro. I’m glad it is more modern today. I wonder if all of the European Union countries will use the Euro in the future?! I don’t think that Switzerland (and Liechtenstein) will join the EU anytime. And as long as that doesn’t happen at least these two countries stay with the Swiss Franc.